Eugene J. Keller, 73, of S Spring Street in Port Washington died Sunday, March 19, 2006 at Columbia St. Mary’s Hospital – Ozaukee Campus in Mequon. 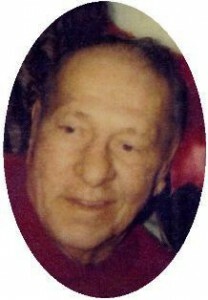 He was born August 11, 1933 in Port Washington to Milton E. and Leona E. Lorge Keller. He worked for Simplicity Manufacturing Company in Port Washington as a machinist over 42 years and retired1997. He was a member of the International Association of Machinist and Aerospace Workers, Local 1430. Gene married Dorothy Baumann Schneider of Milwaukee on November 22, 1982 in Port Washington. She preceded him in death May 12, 2005. He enjoyed hunting and fishing. He loved he dogs and always had a German Shorthair or Dachshaund. His current buddy was Shelby. His is survived by his daughter Sue A. (Barry) Altendorf and son Dale R. Keller both of Port Washington. He was a proud grandfather of Jason Altendorf, Amber Altendorf and Kayla Keller and great grandfather of Madison Altendorf, Bryson Altendorf and Cianna Keller. Further survived by step-children, step-grandchildren, step-great grandchildren, friends Randy and Debbie Theusch of Port Washington, other relatives and friends. Preceded in death by a son David E. Keller and sister Joyce Trepanier. Pastor Mark Voll of Friedens Evangelical Church will officiate funeral services 7 pm Wednesday, March 22, 2006 at the Poole Funeral Home. Interment at Holy Cross Cemetery, Milwaukee. Visitation 4 – 7 pm Wesnesday at the funeral home. Memorials appreciated.